Our hardware pre-install is the answer to a large amount of job site issues. Traditionally, doors and hardware are delivered to your site along with boxes of hardware and bags of screws and fasteners. This creates problems if any component is misplaced, or the specification sheet is misread and the wrong door is hung. You can see how quickly the situation can get out of control. Pre-install is the solution. Our team labels each entryway on your architectural drawing. Then, each door has all necessary hardware installed and tested. Finally, doors are grouped based on location in the building and then put on pallets for shipping. At the job site, your doors come delivered, labeled based on location and ready for hanging. Our door installation team can then install each one, on average, in less than 5 minutes. Now your doors can be installed later on in the construction timeline. This means reduced damage, decreased clutter and congestion in construction areas, and a reduced punch-list. This also saves field labor and your job site becomes more “green” because the trash stays with us. Now you can see why we say our doors are ready before you are. hardware, glazing, electonics… all done in house. 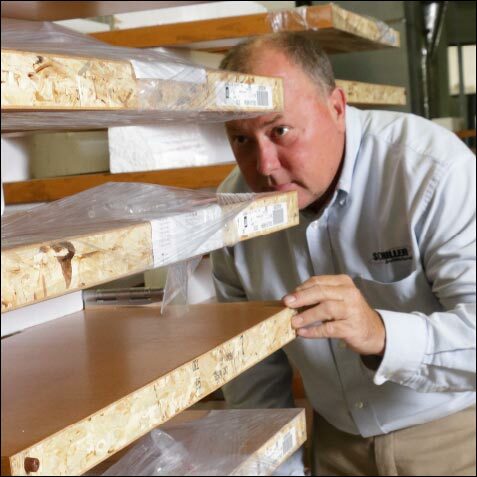 Our pre-install team uses custom designed machinery to ensure the quality and integrity of each door. We take pride in protecting the finish of each entry as well as protecting it from damage that may compromise performance. Just another indication of our pride in what we do. There are enough issues on a job site to worry about. Why let your door installation be another one on your list? Our division 8 solution delivers our best in industry pre-install solution. Let’s talk and see how we can help remove a hassle from your list. We’re the Door Docs. Ready to show you a better way.